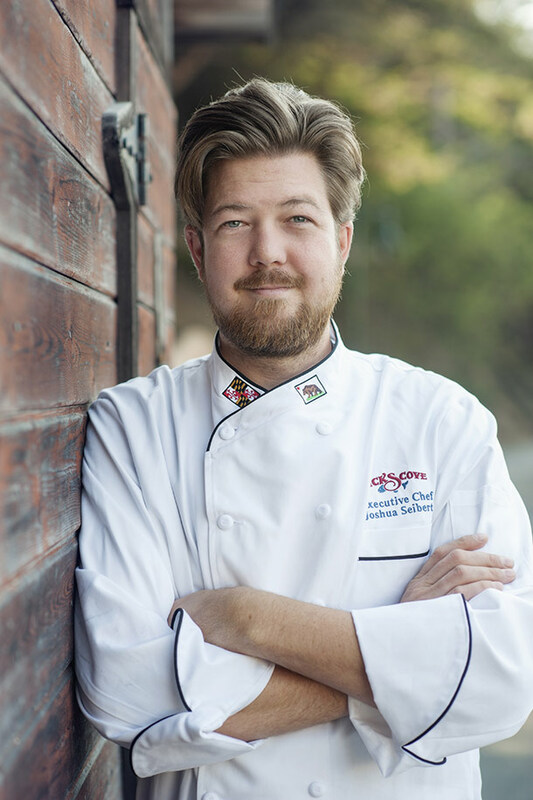 Hi, I’m Chef Joshua and I am so excited to be here at Nick’s Cove! I’m super into comfort food and working with farmers–having the Croft right up the hill is wonderful! Working with our farmer Brendan, who has vast knowledge of the land and how to best utilize it, is definitely a major highlight of my job. I’m excited to be closer to work, as I live in Petaluma. And what a view we have here! I think it makes for an awesome and happy staff—even the front of the house! I’m planning on having an ever-evolving menu here at Nicks, so that our guests can come in twice a week and always have have new options to try. Though fall is a bit challenging to avoid monotony due to the fact what we can grow is a bit limited, I’m so in love with winter squashes and root vegetable stews and soups that it won’t be difficult to continually have delicious items on the menu! 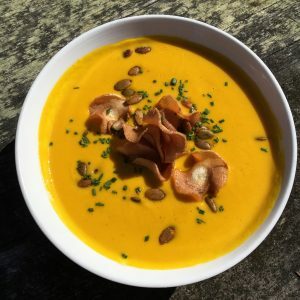 Below I’ve given the recipe for a hearty warming carrot soup—here at Nick’s we serve it with parsnip chips and toasted pepitas. I look forward meeting my guests and seeing more of my industry peers out here to dine with me and enjoy the view. Sauté the carrots, parsnips, onions, fennel and celery over medium heat until they start to brown. Add the spices and garlic and stir until fragrant. Deglaze the pan with the orange juice and then add the vegetable stock stock and orange zest, then bring to a boil. Reduce heat and simmer until veggies are tender. Remove from heat, stir in heavy cream, and simmer for a few min. Purée soup with a blender and then pass it through a fine mesh sieve. Add salt and pepper to taste.